Vice President Mike Pence said on Thursday the United States (US) was “ready for any eventuality” with regard to North Korea and warned that “all options were on the table” to deal with Pyongyang’s threats. 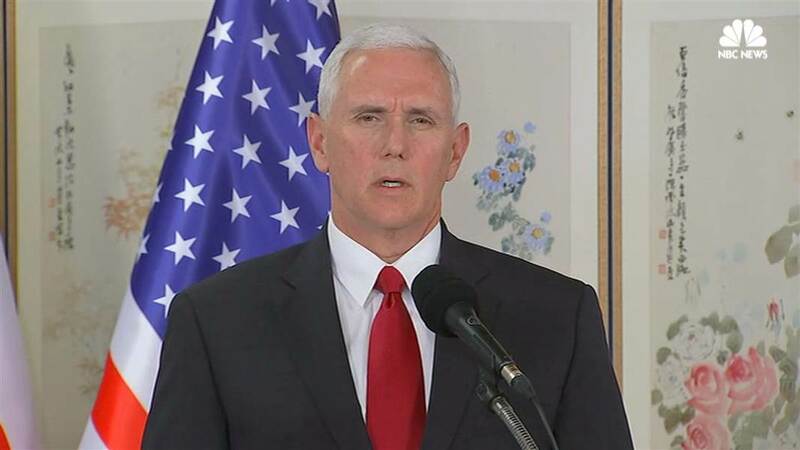 Speaking to US and Japanese troops at the Yokota Air Base outside Tokyo, Pence vowed to continue the “maximum pressure campaign” on North Korea in a bid to force Pyongyang to give up its nuclear missile programme. Pence’s trip to Asia comes amid an apparent thaw on the Korean peninsula, spurred by North Korea’s participation in what is being hailed the “peace” Olympics in Pyeongchang in the South. But he struck a tough tone, citing a string of rights abuses and stressing: “Those who dare threaten us would do well not to underestimate the capabilities of the armed forces of the United States. “Let the world know, from here in Yokota Air Base and beyond, we are ready for any eventuality. Any provocation, including any use of nuclear weapons, would result in a “response that is rapid, overwhelming and effective”, he vowed. On Wednesday, Pence announced Washington would soon impose the “toughest” sanctions yet against the “rogue regime” in North Korea. He also said Pyongyang would not be allowed to “hijack” the Games in Pyeongchang to distract the world from its military build-up and nuclear weapons programmes. After addressing the troops, Pence will fly to South Korea to attend Friday’s opening ceremony of the Winter Olympics. He has not directly ruled out holding a meeting with officials from North Korea, which is expected to send Kim Yong Nam, the ceremonial head of state and sister of leader Kim Jong Un. Nevertheless, according to state news agency KCNA, the North has no intention of meeting US officials during the Games but did not rule it out either.